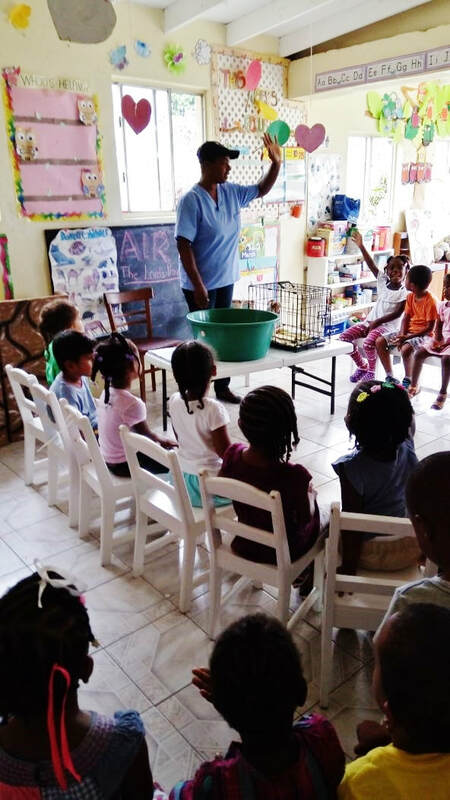 The Humane Education Program of the VSPCA teaches children to understand the concepts of compassion, kindness and empathy towards all living things. It is recognized that there is very strong link between animal abuse and other forms of abuse. If a child sees abuse and disregard for life as the norm it will perpetuate that as an adult. Crime experts state that people who harm or kill other humans often started out by hurting animals. The goal of the HE program is to break this cycle. Teaching children to be kinder to animals today is our only hope of a kinder society tomorrow. The VSPCA Humane Education program is available free of charge to all primary schools and groups throughout the country. Programs are tailored to be appropriate for the schools or groups being presented to and are engaging, interactive, educational, and lively. We provide all the necessary teaching materials and items required. Please contact us to schedule a presentation! “Children are learning how similar animals are like us (that) animals need food and water, exercise, shelter, health and love.